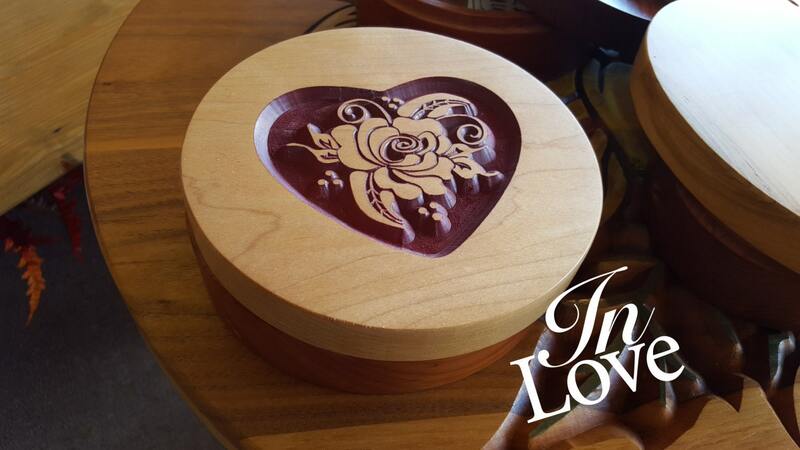 What a great personal gift for the one you love... 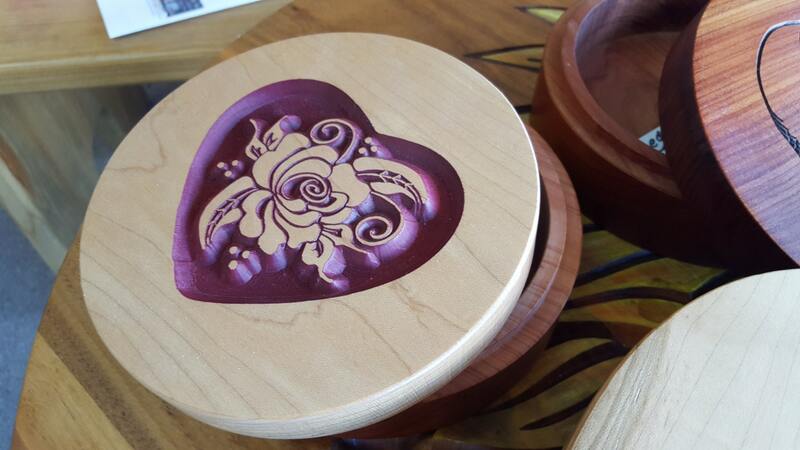 This 6" Round Solid Wood box is approx 1.5" deep and boosts a beautiful Heart with a Rose in the Center adding that extra touch. We're sure you won't be disappointed! 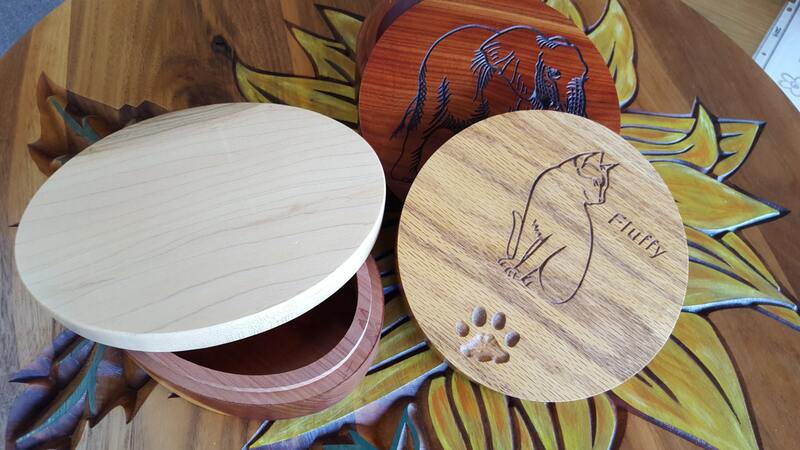 The box show has a Hard Maple Lid with a Aromatic Cedar Bottom. 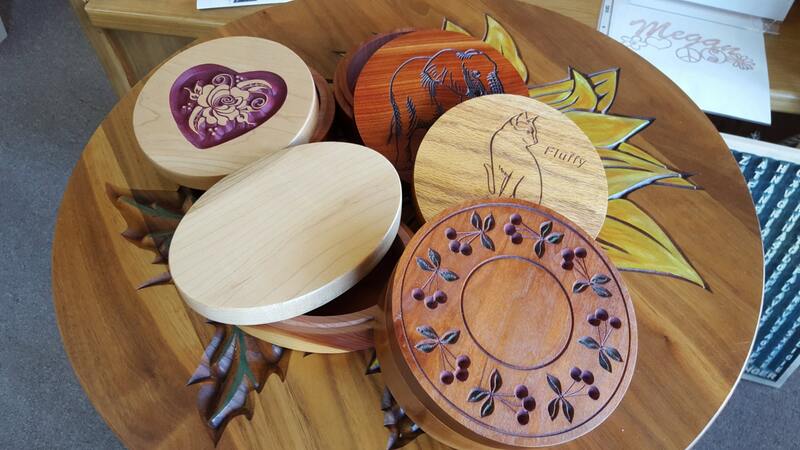 If customizing, upon order Jo's Wood Gallery will email you a simulated proof for approval within 3 business days. Upon approval we will build product within 5-14 business days. Our show room is currently located in the front of the Market On Main gift store located in Bellville, TX on the square... Come visit us anytime.